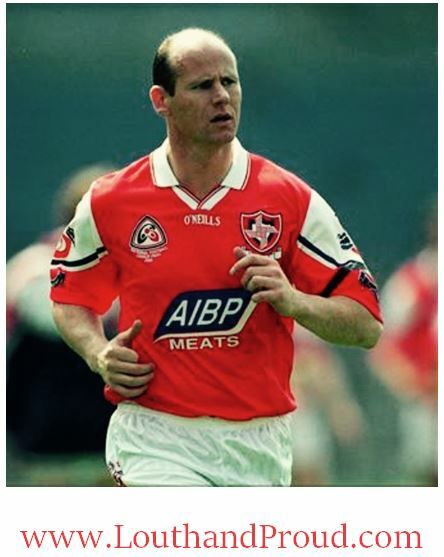 As a kid growing up and watching Louth there was no greater sight in red and white than Stephen Melia. His style of play, all action in the full back line, high catches and uncompromising approach to opposing forwards added to his hero status. Like all good hero’s He just never let you down. I’ve heard at the time, that he didn’t play underage football for the John Mitchells at all, that gave you/me belief that if you worked hard on your game with the honesty Stephen Melia had, you could achieve anything. Even playing club football in Balbriggan for O’Dywers too, gave insight for me to the mystic of the ultimate competitor he was, playing alongside Dublin Goalkeeper John O’Leary at the time he wanted to test himself against the best. Then, his possible career highlight came during the twilight of his playing career. Coming back to win a Joe Ward with the Joes while he was in his forties cemented his already legendary status in Louth GAA circles. Sympathies to his Family and Friends. If you have a stories you’d like to share post it in the comments. Sorely missed is right. you are welcome, he was a inspiration of mine and my friends who went to all the those louth games when we were younger. Loved playing against him too.